In this video, I discuss how to avoid the neurotic pace of discipleship that tries to juggle holiness and mission. GCD – Spirit-Empowered, Integrated Discipleship from Crossway on Vimeo. 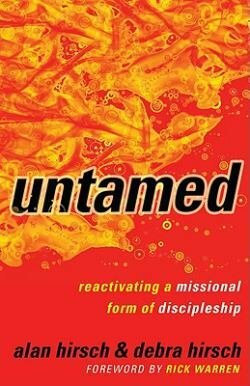 Almost finished with my review of the Hirsch’s very fine book Untamed: Reactivating Missional for of Discipleship. See Part 1, Part 2. If you’ve been tracking with me, I’ve had very good things to say about this new work. It combines the theological and the practical in a very creative, helpful way. I will offer some constructive criticism in my next and final post. Unfortunately, there are theological camps that cut him right out of spiritual life. Even some of the circles I run in, I find a serious neglect of the Spirit, as if “the gospel” substitutes for the Spirit. The gospel is not the Gospel of Jesus Christ. It is the Gospel of God, a trinitarian God–Father, Son and Spirit. I have addressed this at length in Spirit-led Ecclesiology: Following the Spirit through Church Planting (new article on this forthcoming). But perhaps the more threatening aspect of missional church to Spirit-led discipleship is our reliance on models, methods, and books. In a word, “technique,” which is a terrible substitute for God, the Spirit. The Spirit does much more that regenerate. This quote has stuck with me for weeks. It prods me to write more, dream more, create more, rely on the Spirit more. On Sunday I was praying that the Spirit would stretch his wings over our congregation and flap new life and healing into our people. He did it in the beginning (Gen 1); he did it with Israel (Deut 32); he did and continues to do it with the Church (Acts 2). 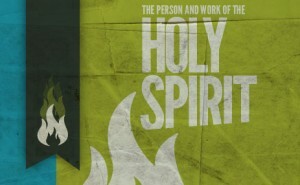 The Hirsch’s point out that the “Holy” Spirit is set on making more than our morality holy. The Spirit wants to release powerful, creative waves of mission through disciples of Jesus, but before he can, we must repent of our sinful dependence on comfort, convenience, and technique. Once we do, the Spirit can release a “sanctified imagination” that envisions and enacts an entirely new way of living that brings hope in all places to all people. The Spirit produces “lots of little Jesuses” that bring hope and renewal into our present world. Let’s repent for neglecting and assuming the presence and power of the Holy Spirit. Let’s turn to his creative, sanctifying power to envision new neighborhoods and cities, wonderfully transformed by the Spirit of God through the disciples of Christ.